Unusually, this week’s post is going to try and be as complete as possible. If they’re OSS, they’re there, and have something to say, I’ve included them below. So there’s a few plain links to PR, because my ability to write entertaining, insightful commentary is a scarce resource. No specific news, but just go and see them in Hall 6 Stand 6C50 because a “young, fast-growing company” (their words) in OSS deserves your attention. Alcatel-Lucent join forces with Telefónica to accelerate industry shift to Network Functions Virtualization (NFV). The agreement focuses on advancement of NFV using the CloudBand NFV platform to speed adoption of network virtualization infrastructure. Alcatel-Lucent announces global collaboration with Intel to speed industry move to cloud. Commitment to accelerating development and delivery of optimized virtualized cloud, wireless and IP Network Functions using Intel architecture. There’s a nice video of the announcement in the link, above. Amdocs announces carrier-grade big data solution for real-time usage data management. Amdocs TeraScale is a carrier-grade, big data solution designed to cost-efficiently store, manage and extract real-time charging usage data for analytical use cases. The new solution, based on the Hadoop, enables deeper, more rapid real-time analytics through usage data modeling and embedded ETL (extract, transform and load) processes. Amdocs TeraScale is a new offering within the Amdocs CES 9.1 product suite. Clarity announces Big Data Analytics Solution for Customer QoE. Called ‘Analytics to Action’, its Operational Intelligence rapidly processes and analyzes transactional data to develop a nuanced view of Customer Experience and execute necessary resolution processes. Comarch enriches its OSS Suite with support for the introduction of Software Defined Networking (SDN) technology. Lukasz Mendyk, OSS Product Manager at Comarch, adds “The main assumption of Comarch’s vision is that an SDN controller needs a holistic view of the network, to be able to make “smart” decisions, and this holistic view can be provided by a BSS/OSS ecosystem. Employing Big Data technology enables to exploit historical OSS data, such as alarms, KPI/KQIs etc. for trend analyses, which can assist the SDN controller in making even smarter decisions”. Comarch strengthens its position in Latin America by opening a subsidiary in Santiago de Chile. Comarch’s new Chilean office will be responsible for the local sales of CRM & marketing solutions for enterprises, as well as IT systems for telecommunication. Comptel and Tecnotree partner to manage the delivery of complex, triple-play orders and improve the customer experience. New Comptel Order Management and Tecnotree Agility Unified Product Catalogue demonstration at MWC shows how operators can create flexible service bundling and automate the order orchestration process. As blogged earlier this week, Ericsson has signed an OSSii license agreement with NSN and Huawei. CenturyLink VP discusses Service Agility.Ericsson will be talking about Service Agility, as reported in this recent post, and they have just posted a video interview with CenturyLink on this very topic. TeliaSonera selects Ericsson for enhanced customer experience. Customer win announced at MWC. With this new solution, TeliaSonera will address subscribers’ demand for high levels of service quality and user experience by pro-actively and more efficiently resolving customer experience issues with regards to network quality and customer support. In addition, Ericsson’s consultants and systems integrators will support the implementation with services such as business process refinement and systems integration. Telefonica and Ericsson partner to virtualize networks. Ericsson and Telefonica announce the launch of a joint R&D program to understand, in-depth, the challenges and opportunities in network transformation during the coming decade, specifically in the areas of Network Functions Virtualization and service provider Software Defined Networking. Forsk will be demonstrating various use cases of Atoll, its leading radio planning and optimisation software, including small cell planning scenarios. Forsk recently announced it has completed new Atoll projects for Tele2 in Sweden, Norway, Estonia, Lithuania, Latvia, the Netherlands and Croatia. Guavus first to deliver Big Data analytics applications in a virtualized environment. Guavus partnered with a tier one global telecom provider to help the organization create a virtualized environment, which is currently going live. NetCracker showcases digital business and virtualization innovation. 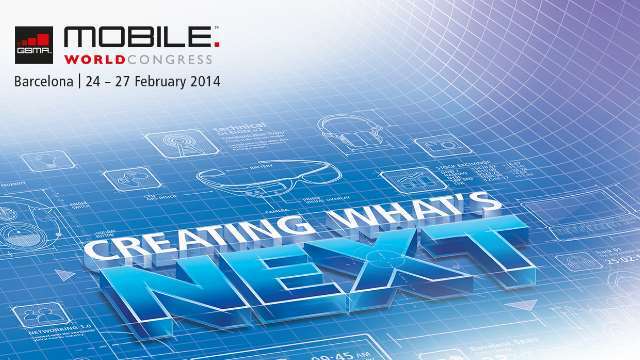 Focused on helping mobile operators manage and monetize the mobile experience, NetCracker will showcase its Digital Business Platform, SDN, and vEPC solutions at MWC. NEC, NetCracker and Cricket Communications to collaborate in customized trial of SDN and Network Virtualization. This is a trial to virtualize the Evolved Packet Core network. Network virtualization, with SDN and NFV technologies that combine the IP edge components of networks into one single virtual infrastructure, could be a key element of Cricket’s network strategy. This collaboration will demonstrate that virtual network functions are portable between different hardware platforms. Enhancements to the Nokia Solutions and Networks virtualized Operations Support System enable operators to change large-scale network configurations in record time, and keep network operations running even if there are unexpected spikes in demand or in the unlikely event that a Network Operations Center (NOC) goes down. NSN has introduced 3D mapping to site planning activities, accelerating small cell deployments as part of HetNets. Adding to NSN’s Services for HetNets range, the new capability reduces drive testing and site survey visits by enhancing the prediction of radio and microwave backhaul propagation in urban areas to provide more accurate results than conventional methods using flat and low resolution maps. NSN has also announced that they have signed OSSii license agreements with Ericsson and Huawei. Oracle has announced a new release of its Oracle Communications Network Resource Management solution with the general availability of Oracle Communications Unified Inventory Management 7.2.3, Oracle Communications Network Integrity 7.2.2.P2 and Oracle Communications Network Intelligence 7.2.2.P2. TEOCO announce customer win at MWC, agrees to multi-million dollar deal with Rostelecom to supply Netrac service assurance.